Create a haven for backyard butterflies. Butterflies are the workhorses of the garden. They diligently visit flower after flower, day after day, pollinating each one to create a fuller, lusher setting year after year. Give them a welcome treat with this feeder specially designed for them. 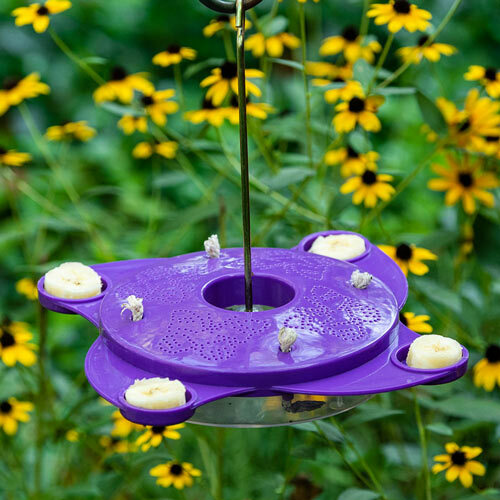 A patented combo of tubes and wicks holds fresh fruit and nectar, luring butterflies to rest and take nourishment. 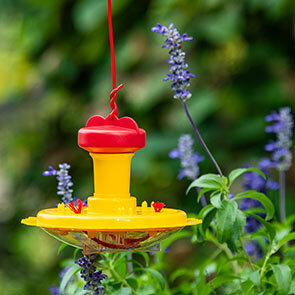 Includes coated wire for hanging.